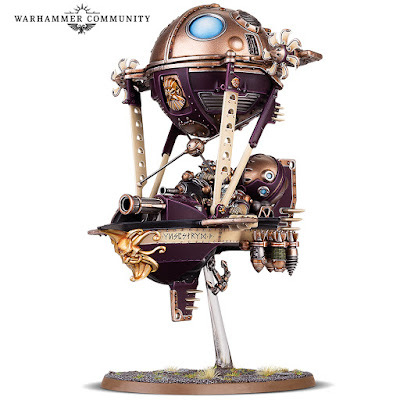 OMG... these things look amazing! 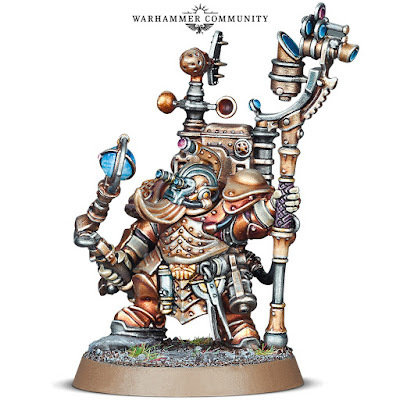 I'm in love with pretty much all of the models. 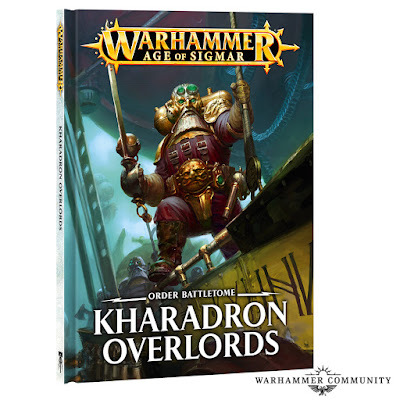 I might have to seriously consider these guys when they release for Age of Sigmar. 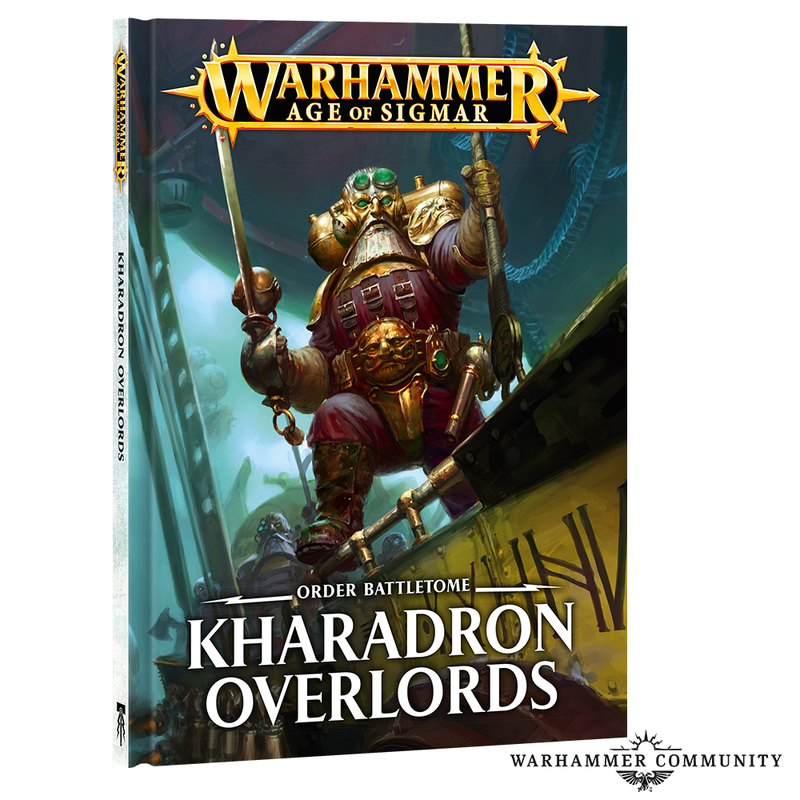 "From the skies come the airborne armadas of the Kharadron Overlords – sky-fleets of iron-clad warriors aboard fantastical machines of war armed with powerful aetheric weapons. 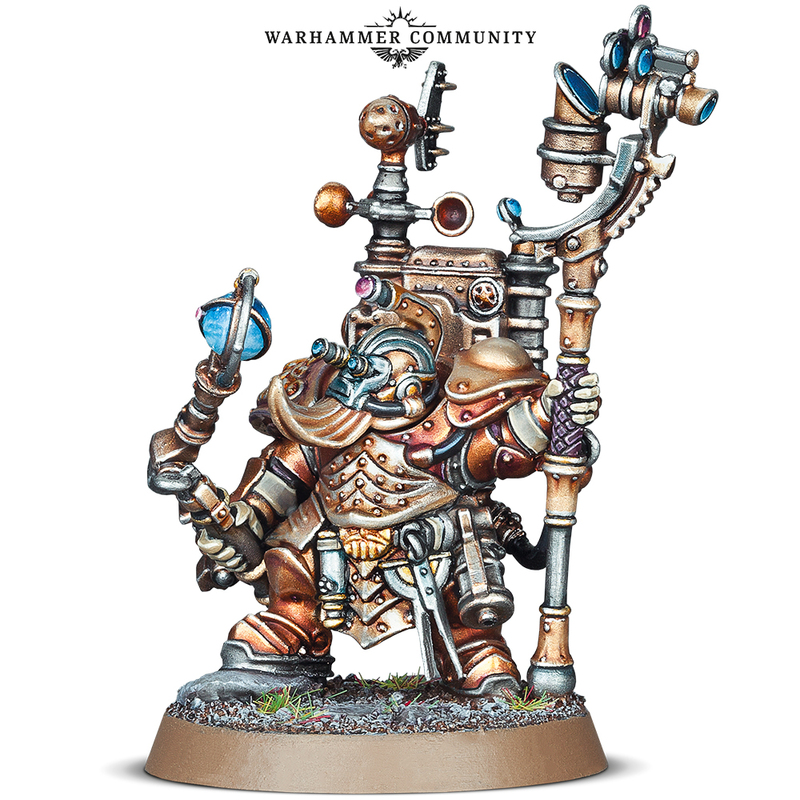 You won’t see a single scrap of flesh on them – every inch of their bodies is clad in armour or complex suits, so as to protect them from the harsh environments found in the magic-infused skies of the Mortal Realms. 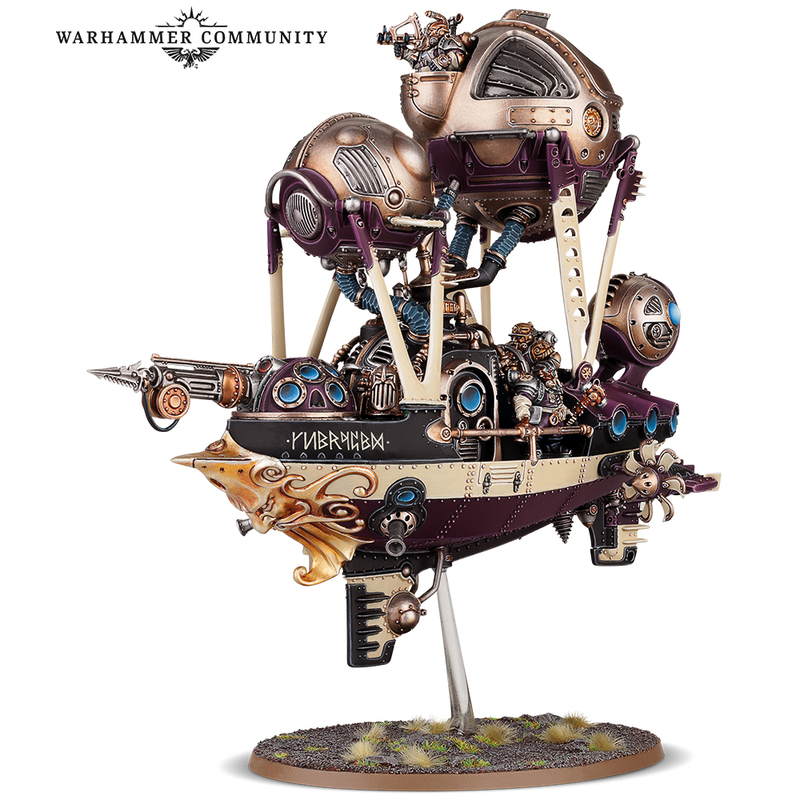 Their weapons are powered by strange chemical processes, and their airships, while bearing some similarities to the gyrocopters of their ancestors, are clearly powered by a far more powerful and possibly arcane mechanism." First up is the Battletome plus some artwork. 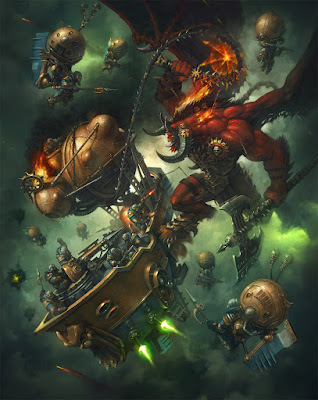 Unsurprisingly, the Dwarves are Order. I could have called that. This is some pretty sweet artwork. I love the single dudes with spears floating along on their iron balloons. I love the concept that the 'lighter than air' component is a giant metal ball. First up are four individual hero looking dudes. Based on the weaponry, it's pretty safe to say that some of these are melee heavy while others are missile platforms. 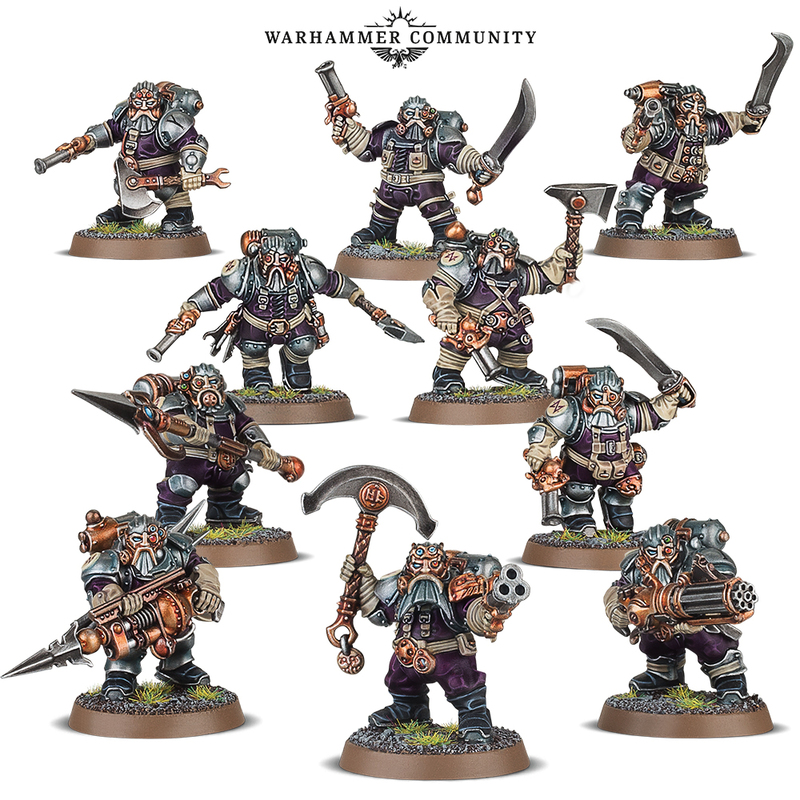 The fourth guy down looks like he might be some sort of Engineer/Wizard equivalent. 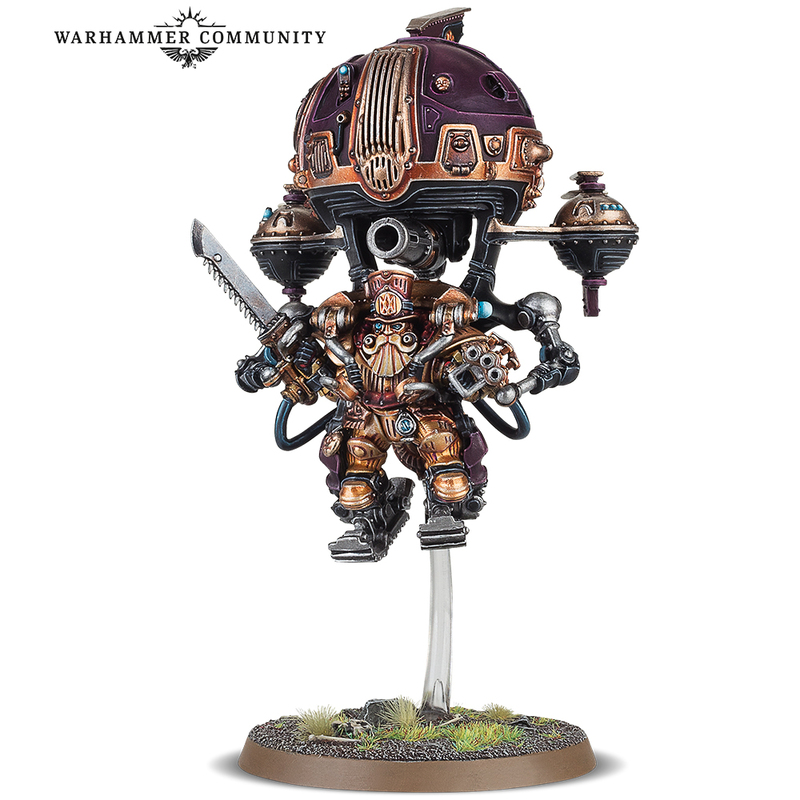 It's nice to see a variety of weapons in the basic Infantry unit. These guys have to be Battleline. 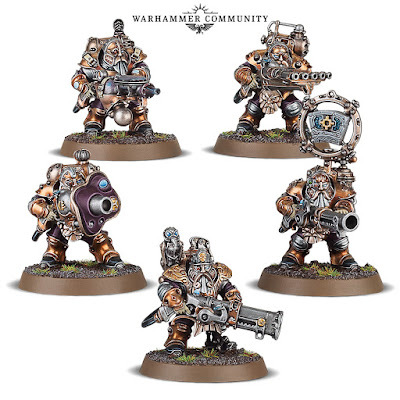 These guys look like they're probably the elite shooting Infantry unit, It looks like four different kinds of weapon in a five man unit. Again, pretty awesome. Variety is nice. 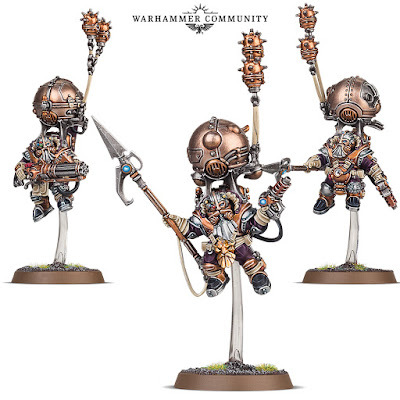 These next two are amazing looking The lone guy looks like a hero version of the three man unit. I absolutely love the aesthetic. I'm assuming these guys have Flying and a solid Move stat. They look amazing. 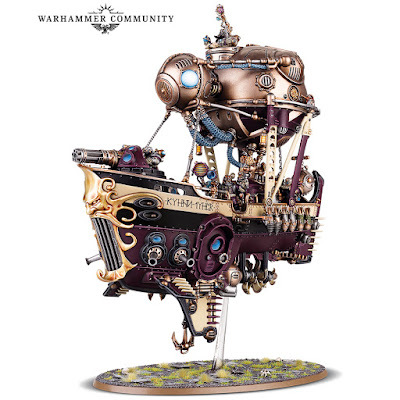 Last up is a variety of ships. They look different enough that I can't tell if they come from the same kit or not. 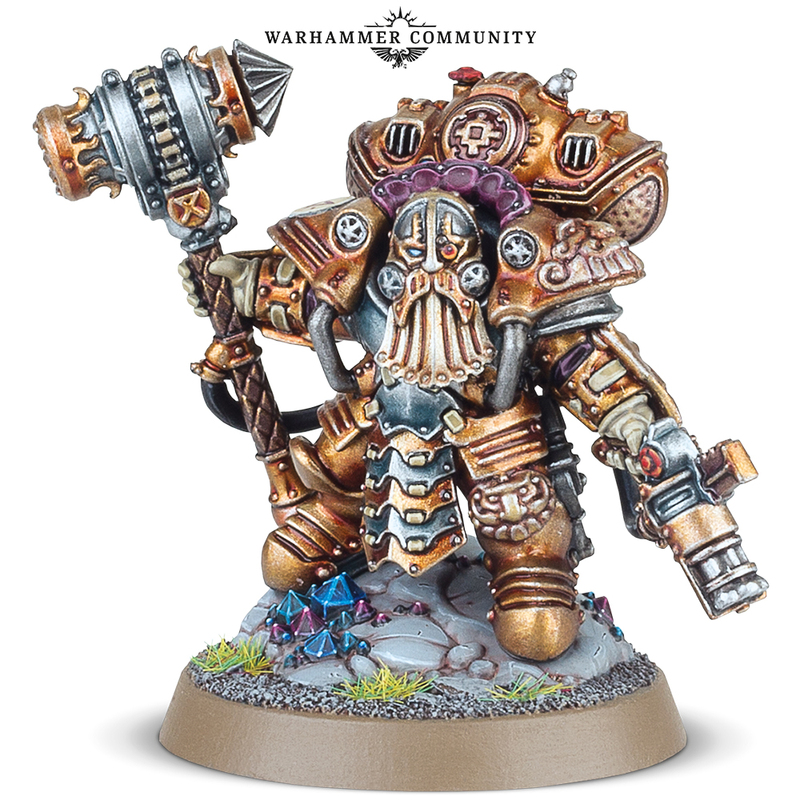 In any case, it's great to see these sorts of models for Age of Sigmar. 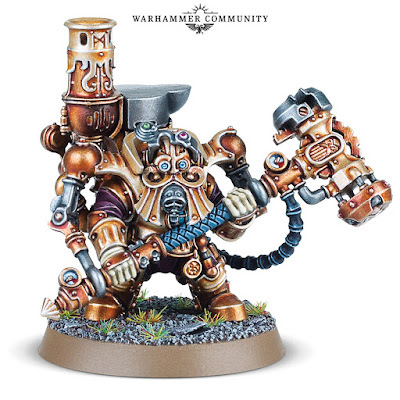 So many of the armies just have masses of foot troop guys. 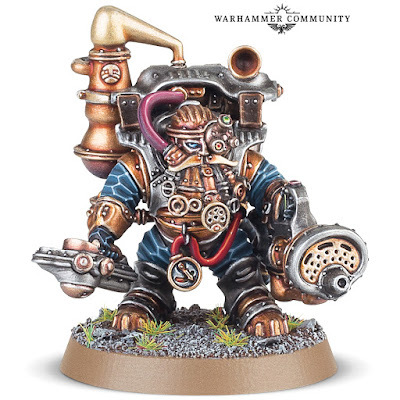 I think this army is going to really jazz up the options.